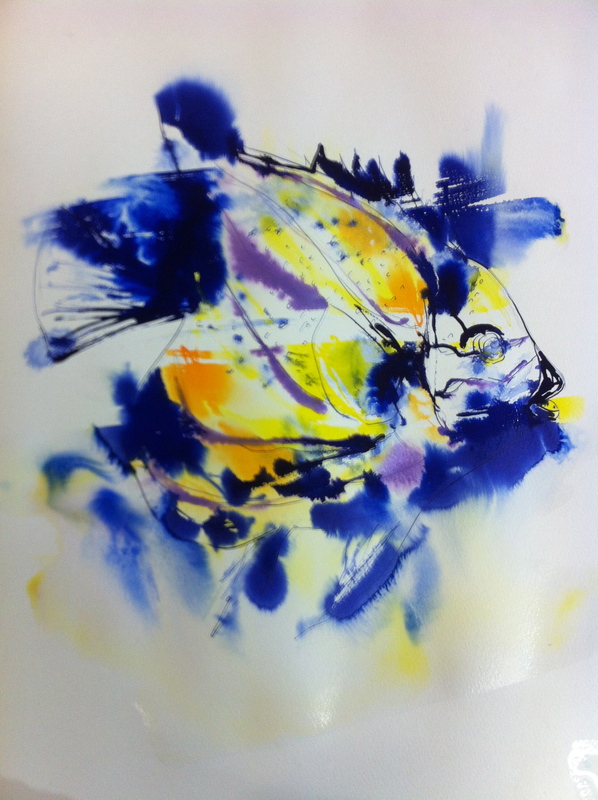 I was part of a creative collaboration of Brisbane-based artists who through our exhibit SeaLIFE brought the wonders of the sea inside to the walls of St Vinent’s Private Hospital. Our artworks were hung on the Hospital walls including this very large collaborative marine piece! My artworks regularly hang in the gallery at Cafe Jilarty at beautiful Rainbow Beach. 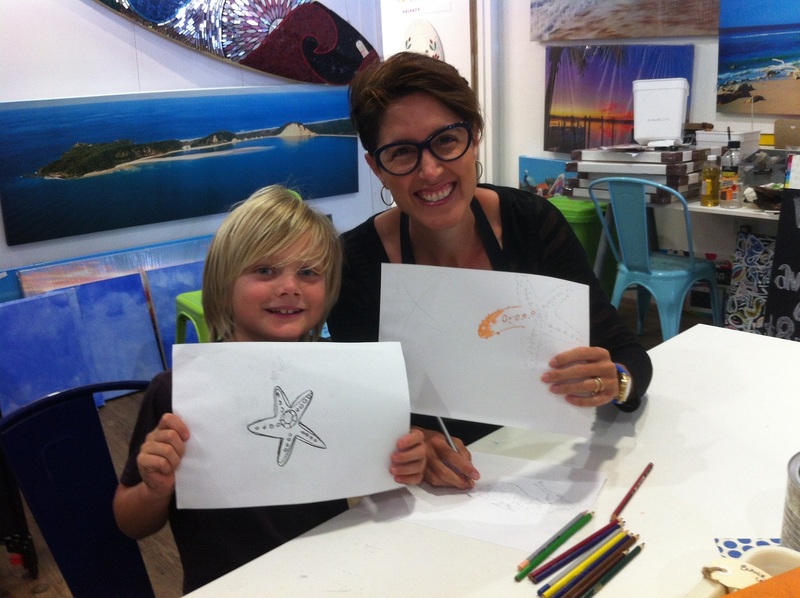 I also had the great opportunity in 2015 to be their ‘Artist in Residence’ which meant Dr Suzie Starfish also got the chance to paint and draw with the local children. 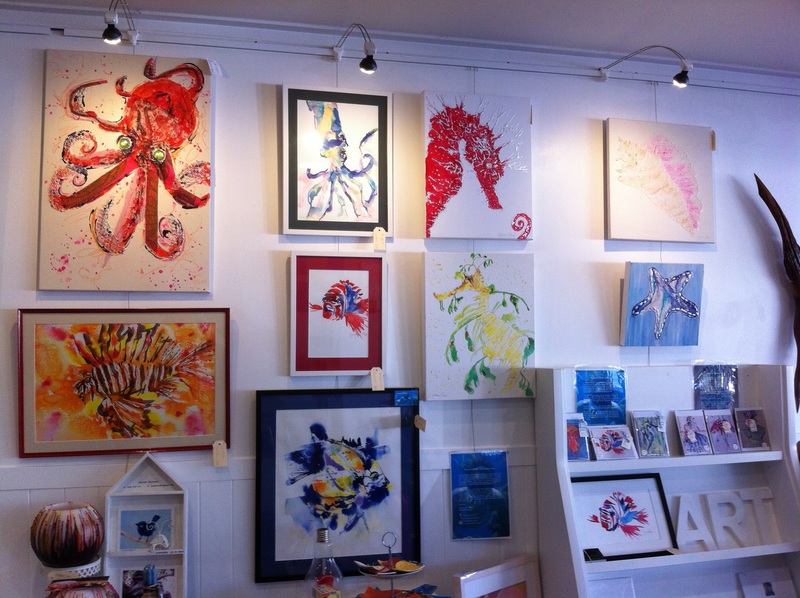 Please see the lovely Leonie and staff in store about my artworks and range of gift cards. 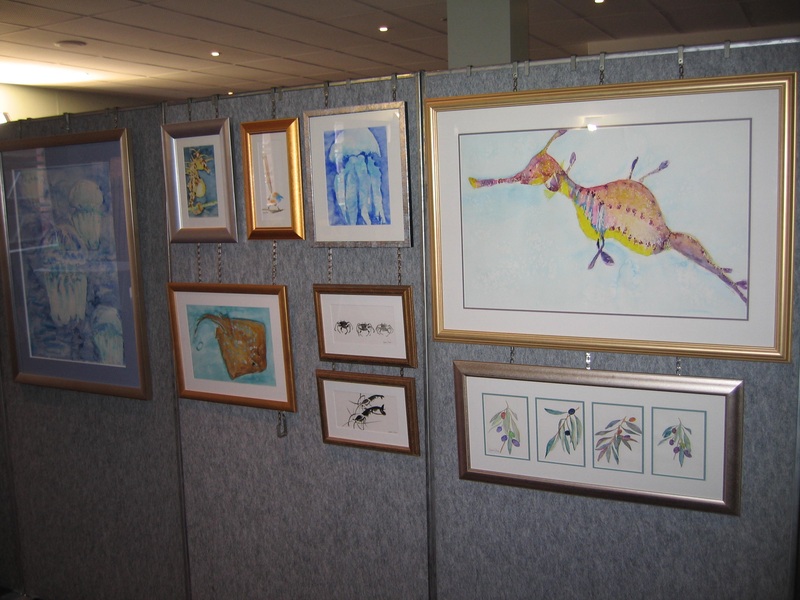 As part of the Brushstrokes Art Studio based in Brisbane I have exhibited my artworks as part of this creative collective since 2007, where the primary focus of my watercolour paintings was marine life.